The essence of time tracking is to reduce labor costs, increase compliance and employee productivity. Doing things efficiently is the only path. 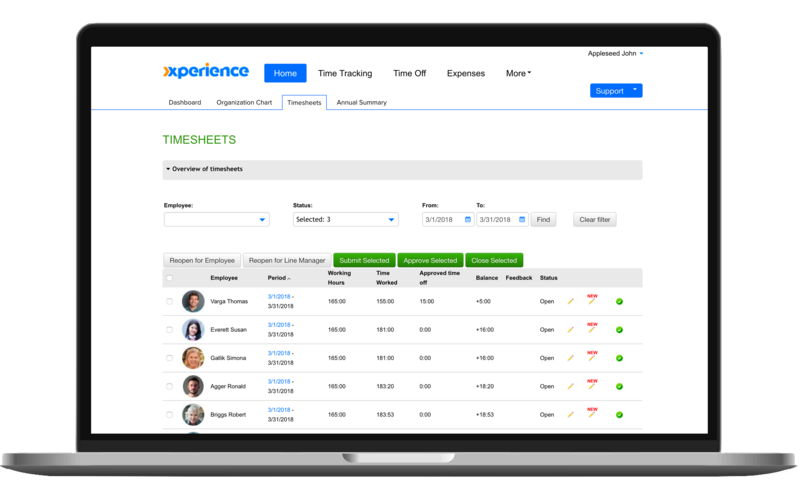 XperienceHR gives you and your employees a range of options on how to track time. From manual daily entry to weekly timesheet view, it only takes a few clicks to get the work recorded. Other options include a time tracker, clock-in clock-out and exception-based automatic time tracking. Together with monthly, weekly or custom timesheet periods, it gives you real flexibility to adjust this tool according to your company needs and not the other way around. 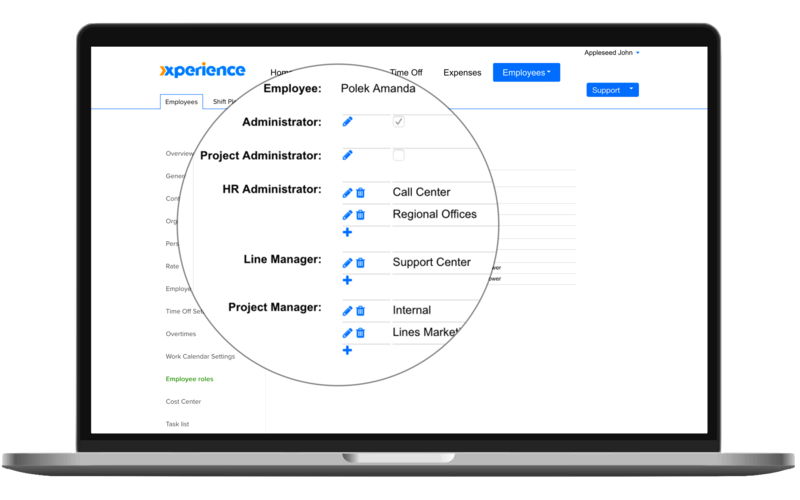 Create your organization’s hierarchy of employees, line managers and project managers in XperienceHR and configure the timesheet locking and approval process. Turning reminders on significantly increases the employee time tracking compliance and helps to achieve an accurate on-time payroll schedule. XperienceHR comes with enterprise-level access rights principles built-in to help control what employees can see and what they can do with the app. If basic recording of clock-in and -out is not sufficient for you, XperienceHR lets you record a much more granular break-down of the work day. This feature allows you to track company or project expenses very accurately. 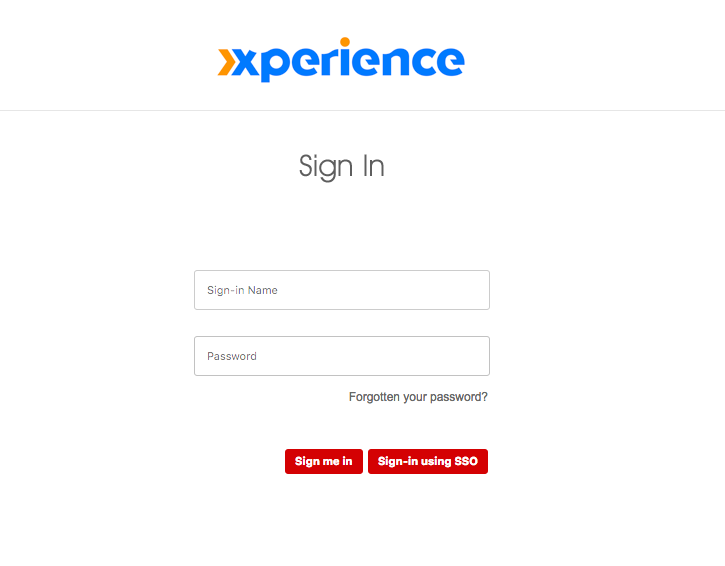 XperienceHR gives you the option to use a Single Sign-On (SSO) feature. The SSO allows users to log in with their Google apps account or similar SAML enabled account to gain access to a connected system or systems, in this case XperienceHR, without the need for different usernames or passwords. In a matter of minutes you can flexibly configure the settings. Choose a standard “employee submit – manager approve – HR close” process or a 4-step approval adding a project manager OK into the process as well. Timesheet locking makes sure the historical data and reports are not tampered with. Let’s be honest, tracking time is often an employee activity that is frequently overlooked when it should be a top concern. 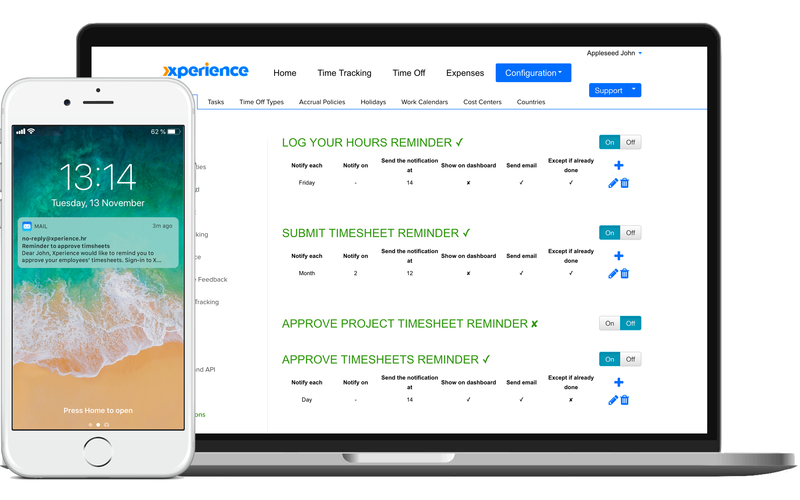 XperienceHR comes with a set of fully customizable reminders to perform different time tracking related tasks, from logging hours, submitting timesheets and approving the time off or a timesheet. Reminders are precisely targeted at employees with a certain responsibility and are sent only if was not done. Each employee is assigned a user role position within the organizational structure and the project(s) team. A company can set what features or reports employees can use, what projects they can log the work to, what paid time off they can request, who can access what settings, who can monitor the project status and reports, plus what part of the company time off calendar they have access to and much more. Breaking expenses down into custom categories and time periods, expense reports are always at your fingertips. Client expenses flow to the project tracking accurately calculates project profit and can be instantly billed to the client. 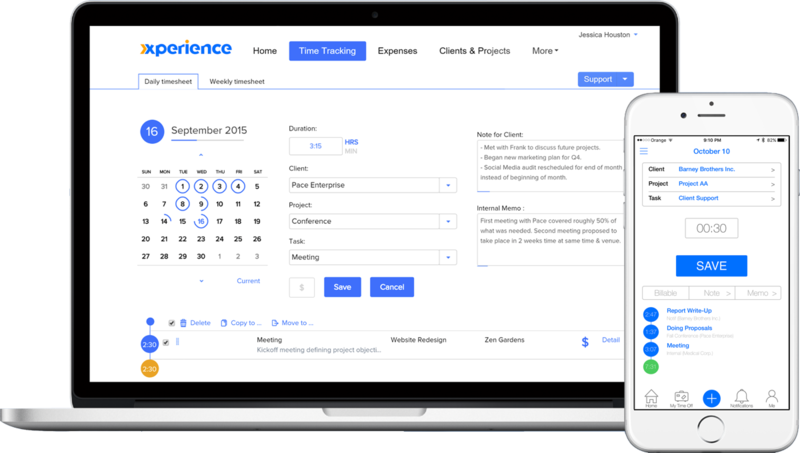 Expense tracking comes with the approval and reimbursement process. All data is possible to have exported to excel or pdf with pie and graph charts. As companies continue to move away from the pervious model of using directory service, i.e. several passwords to access internal and external applications, they are turning to the single sign-on option. Implementing SSO in your company will have many benefits including enhanced security, faster login protocol and reduced costs to your IT department due to a lower number of password related problems. If you want to find out more please contact a member of our support team.